Our big post-Christmas sale is on! We’re offering at least 20% off RRP across the entire Escentual.com site*, plus some huge one-off discounts on some of last season’s biggest products. So, without further ado, here is our pick of the best reduced price products in our sale, chosen for their phenomenal discounts and general brilliance. Bear in mind that once these products are gone, they really are gone. If you have your eye on something, don’t dilly dally – make it yours! Everyone has a favourite Marc Jacobs fragrance. If yours is Dot, you’re in for a real treat! You can bag the largest size in the Eau de Parfum spray, the matching body lotion and a miniature handbag fragrance all for £35 in our sale (that’s actually cheaper than the RRP of the smallest size)! If you’ve not tried it, then you really must. Dot blends exotic fruits and creamy facets to create a dreamy, eclectic fragrance that is a real compliment magnet. And like all Marc Jacobs fragrances, the bottle is really special. This collectable compact from Guerlain’s Christmas collection is filled to the brim with velvety soft and long-lasting eyeshadow in shades that are distinctly un-Guerlain-like. And that’s why it’s just so fabulous! The Crazy Paris palette draws its inspiration from the neon buzz of the City of Lights during the Christmas party season, with shades ranging from deep amber all the way through to a sparkling hot pink, plus additional pigment-rich shades for lining the eyes. It’s actually suitable for both daytime and evening wear, and with 50% off the RRP it’s a great buy for collectors and makeup enthusiasts alike. See my review of the Guerlain Crazy Paris collection here. Since its launch the seductive Roberto Cavalli Eau de Parfum has accrued a legion of fans. Quite rightly so, too (read our customers’ rave reviews here). The distinctive blend of pink pepper, orange flower, roasted tonka beans and benzoin is downright decadent, with magnificent sillage and longevity that sets it apart. I love that the fragrance is so distinctive – it has confidence, and you can definitely pick it out of a crowd. This gift set contains the 50ml Eau de Parfum and the matching body lotion to layer your fragrance up and make sure you smell amazing for even longer. See by Chloe launched earlier this year in typically understated Chloe fashion. Don’t be fooled, though – this charming floral fragrance is no wallflower! Combining sweet apple blossom, jasmine and ylang-ylang, the fragrance is instantly upbeat and pretty, with some creamy vanilla and sandalwood to add depth and some sparkling citrus sprinkled on top. 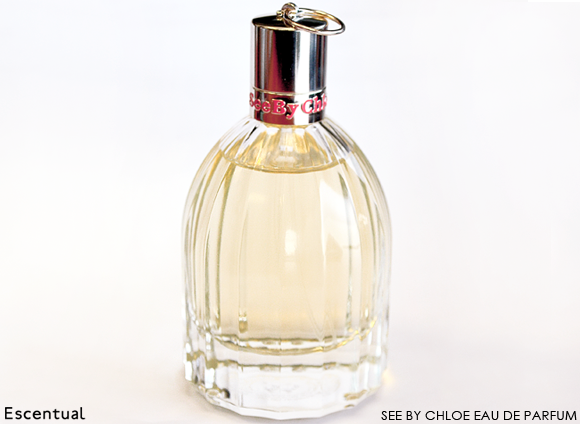 The bottle is inspired by a birdcage, which will really appeal to those who love feminine, vintage styling. This gift set includes the 50ml Eau de Parfum and the matching Body Lotion. See my review of See by Chloe here. 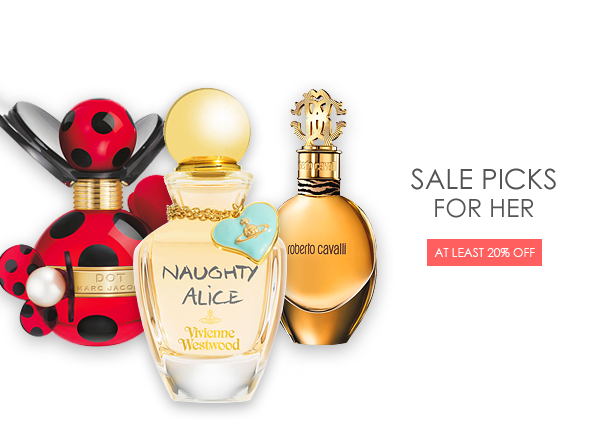 In her repertoire of carnal fragrances, Naughty Alice is Vivienne Westwood’s ode to innocence. Despite her name, Naughty Alice is actually very nice, composed of lighthearted soft florals and powdery notes that give wonderful warmth and creaminess. As you’d expect from Dame Vivienne the bottle is suitably whimsical, inspired by a potion bottle and finished with a detachable bracelet. The set also contains a matching full-sized body lotion, and I suspect many will want to keep that beautiful presentation box, too. 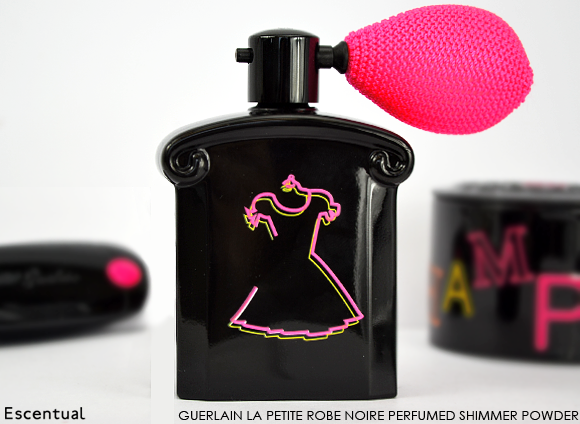 Another savvy sale buy from the Guerlain Crazy Paris Christmas collection is its star product: the La Petite Robe Noire So Crazy Perfumed Shimmer Powder Spray. Designed to offer a dusting of light powder and glimmer with each squeeze of its oversized atomiser, it is a wonderful finishing touch before a special occasion or big night (New Years Eve, anyone?). Best of all, it’s scented with Guerlain’s bestselling La Petite Robe Noire fragrance, which boasts sweet notes of cherry, almond, rose and patchouli. Like lots of the products featured here, it’s ideal dressing table fodder – a mix of old Hollywood glamour with modern neon touches. See my review of the Guerlain Crazy Paris collection here. Our final top pick is something for those who are indulging their sweet tooth over the Christmas period. Vera Wang Princess is cute in every way, from its heart shaped, crown-topped bottle to its exotic gourmand fragrance. Blending waterlily, guava, tiare flower, chocolate and vanilla, Princess is pretty scrumptious! This 30ml gift set contains the Eau de Parfum plus the matching Body Lotion and Shower Gel, so you can create a complete scented pampering ritual. Just love this perfume, very classy, not too heavy, great for day wear. The body lotion is great too and excellent price! This entry was posted on Friday, December 27th, 2013 at 9:00 am and is filed under Fragrance, Make-up, Offers. You can follow any responses to this entry through the RSS 2.0 feed. You can skip to the end and leave a response. Pinging is currently not allowed. 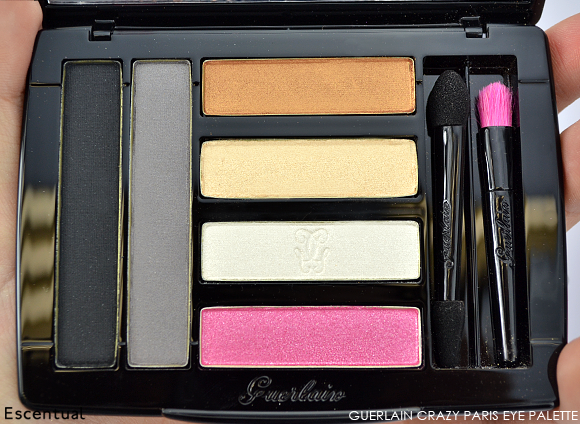 The Guerlain Crazy Eye Palette is such good value!